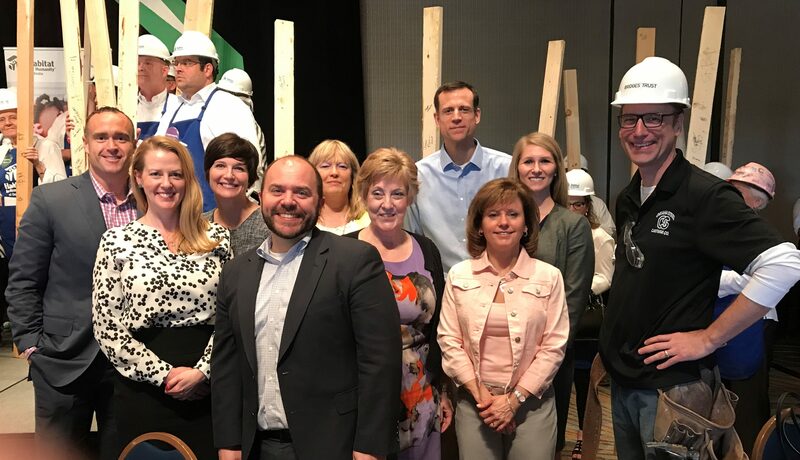 The Bridges Trust team had a wonderful time attending the annual Womens Power Luncheon to kick-off Habitat Omaha’s 2018 Women Build. This event provided a venue for powerful Habitat Omaha advocates to rally around the mission of the Women Build: to recruit, educate and inspire women to build and advocate for affordable houses in our community. One of these advocates is our very own Executive Vice President Mike App, who served as a Power Partner for the luncheon. To learn more about Habitat for Humanity and the Women Build please visit https://habitatomaha.org.